3 Colours of Light: Deliberations on red, blue & green. Presented by Berlin-based artist Deborah S.Philips. Deborah S.Philips works with a range of analogue media, including printmaking, painting, collage and film. 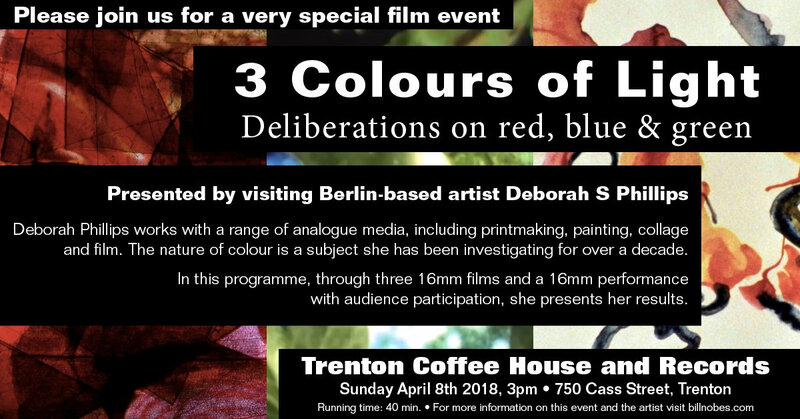 The nature of colour is a subject she has been investigating for over a decade. In this programme, through three 16mm films and a 16mm performance with audience participation, she presents her results.